This year has been brought a lot of changes for Lucas, he has welcomed not one but two brothers into his life and although he has been brilliant there are times when he deserves to have Mummy and Daddy all to himself. 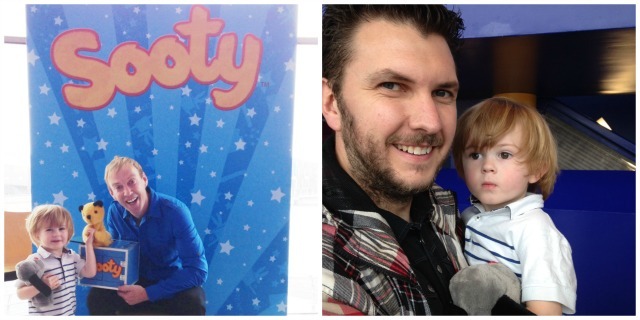 A little Lucas day out was in order and luckily for us The Sooty Show was in town! Both me and my husband remember going to watch Sooty live back in the day; I’m sure everyone of our age loved to watch Sooty and we couldn’t wait to take Lucas along to relive our childhood memories. I think we may have actually been more excited than he was but would it be as good as we remembered? 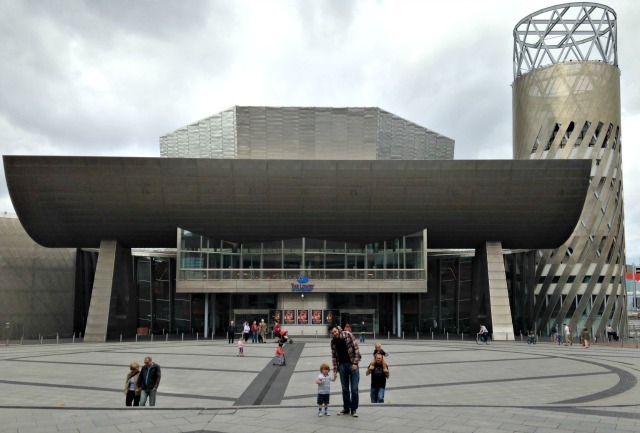 We didn’t tell Lucas where we were going and as we walked into The Lowry he was already excited at being in a theatre, the game was up as we reached our entrance and outside was Sooty merchandise. We couldn’t resist buying a programme and a puppet, I was happy Lucas went for Sweep, he was always my favourite. As we went into the lovely Quay Theatre Lucas was ‘wowing’ at everything; I think it is such a special day out to go to a theatre, it’s somewhere so different and a great experience for young children. We took out seats and as the lights went out I saw Lucas turn to me with a huge grin on his face. We all loved the show; it was brilliant for the children with a good mix of singing and dancing, slapstick humour, magic tricks and audience participation! A few of the jokes are obviously aimed at the Mums and Dads so it even raised a few giggles from us. It was great fun to watch from start to finish and I loved watching Lucas’ face as he took it all in, he was mesmerised by it all. I would definitely recommend it if you have young children, the show held Lucas’ attention and there is a tip of the hat to all those adults who loved it as children. You can check more dates for The Sooty Show Live here. After the show we decided to stick around and meet Sooty, I believe they do this at all the live shows and it was very well organised so we weren’t waiting for long. Lucas was a bit unsure of standing next to Sooty and Richard but we managed to get a photo of him; had it been Sweep he may have been more enthusiastic. It was such a great family day out for us and I loved the chance to spend some time with Lucas doing something new and exciting. Disclaimer – We received tickets to The Sooty Show free of charge for this review. All thoughts and opinions are always my own. Ah, lovely to do something together like this. And yes, Sweep’s the best! Aww he looks so happy, it sounds like a wonderful day out!